spicy pork, steak and chorizo tacos topped with onion and cilantro and fresh lime juice. Hubby and I have been doing taco lunch dates for the past few weeks while PB is at school. Best idea ever. 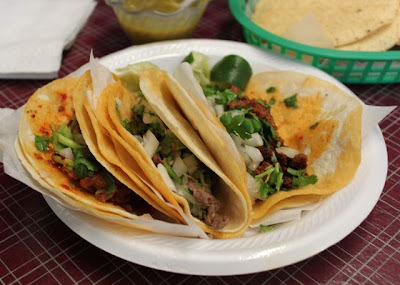 These tacos are amazing!! It is a tiny little grocery store/ restaurant so I picked up some spices when I was here too. 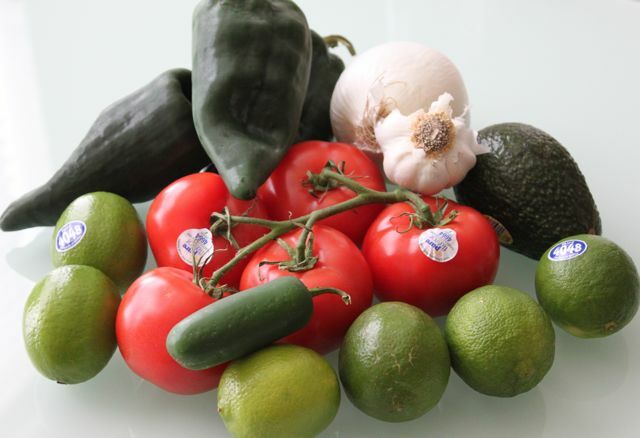 Over the next 2 days I am going to share 2 very easy recipes that can be whipped up with the same ingredients and in no time and you can be celebrating Cinco de Mayo! 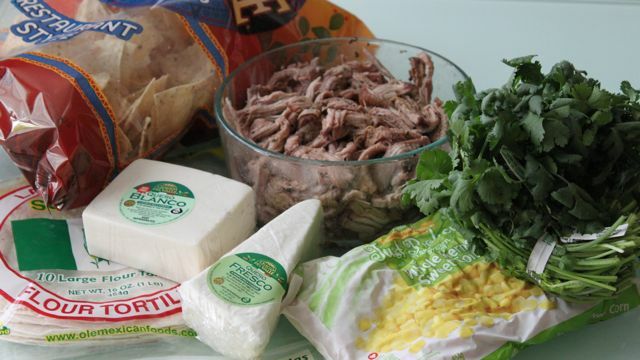 cilantro, shredded beef, tortillas, queso blanco, queso fresco, corn, tortillas, tortilla chips. You could easily use a rotisserie chicken instead of beef for an even easier meal!! I made the shredded beef today. It is a beef roast that I cooked at 325 degrees in the oven until the inserted thermometer read 145 degrees. 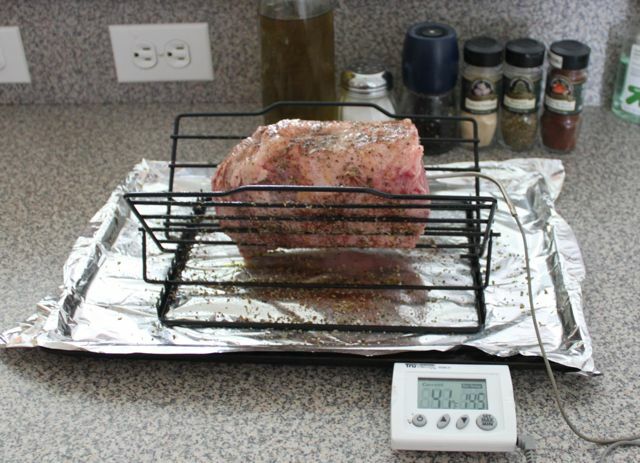 I cooked the beef on a roasting rack over a cookie sheet covered with aluminum foil. Spray the roasting rack with cooking oil for easier cleanup. Then I patted the beef dry with a paper towel and coated it with salt, pepper, garlic powder, Mexican chili powder, Mexican oregano and olive oil. It took less than 2 hours in the oven and I let it cool and pulled it apart with my hands. Now my beef is all ready for my 2 recipes! Stay tuned for tomorrow! !